via Scott Kurashige who writes: "...A/PIA Studies Fall Welcome Luncheon with the amazing Alex Wong, multi-talented singer/songwriter and music producer. Free event with lunch buffet. Friday, Sept. 27, 11:30am to 1:30pm in 3512 Haven. Pleasespread the word. Co-sponsored by AAA, APA 101, Michigan Mazaa, SAAN, and UAAO." So pleased to be a part of Kartika Review, Fall 2013, Issue #16! Go to page 109 to read my creative nonfiction piece, "Grandfather Walking," featuring the photography of Jyoti Omi Chowdhury. Cool! Listed in the MetroTimes! Look beyond the idyllic tourist image of Hawaii and explore the deeper beauty and sacred heritage of Hawaii and its volcanoes through its cultural traditions, history, literature, music, and art with authors Tom Peek and Frances Kai-Hwa Wang, and artist Catherine Robbins. Light Hawaiian snacks will be served. When: October 29, 7 p.m. Address: 343 S. Fifth Ave.
Kartika Review, Fall 2013, Issue 16, " Grandfather Walking"
So excited to be included in the latest issue of Kartika Review, Fall 2013, Issue 16. Go to page 109 to read my creative nonfiction piece, "Grandfather Walking," featuring the photography of Jyoti Omi Chowdhury. Great articles and interviews with Li-Young Li and David Mura, too. Thanks to Lac Su for introducing me and thanks to editor Jennifer Derilo for everything! A few weeks ago, I exchanged business cards with a handsome man, and as he flipped my card over to write a note on the back, I laughed, "Just write, 'the pretty one.'" What a long road it has been to reach this point in my life, to be able to say such a thing out loud. I wrote this article almost seven years ago, but this is why an Indian American Miss America is important, because without her, little girls like me know as objective fact that one must be blond to be beautiful, and since we as Asian Americans can never be blond, we can never be beautiful. Beauty is certainly not the most important thing, but in our many culture(s), it still impacts so many aspects of our lives. I had hoped to stay out of both beauty stories this week, but here they both are already. Last fall, I pulled up to a red light alongside a very big, very muddy, red Ford F-10 pick-up truck that had just come from off-road wheeling. Since two-year-old Little Brother likes trucks and mud, I pointed it out: “Oooh. Little Brother, look.” We took our time checking out the ooey, gooey mud on the big, big truck, when I accidentally caught the eye of the young blond driver. Next thing I knew, he was revving his engine at me! Then he started rocking his truck back and forth to get my attention. I looked back at Little Brother, strapped into his car seat in the second row, and I realized that the guy in the truck could not see Little Brother. He thought I was checking him out. With my two braids shaking with embarrassment, I became completely unglued. All I could do was look down at my steering wheel and giggle. A few days later, standing in an elementary school gym for Curriculum Night, a Chinese woman came up behind me and put her mouth on my ear and whispered, “You beautiful.” Then she stood in front of me, looked me up and down, and proclaimed me very “wen rou”—gentle, soft, tender, but more than that. I am not completely sure how to translate the full feel of the word. Certainly no one has ever called me wen rou before. Growing up in Los Angeles in the age of Farrah Fawcett andCharlie’s Angels taught me at a very young age that you have to be blond to be beautiful, by definition. Before I even hit puberty, I remember deciding that since I could never be blond, I could never be beautiful, by definition. Sure, my parents’ friends would sometimes say I was pretty (as I spilled tea all over the table), but even by Chinese/Asian standards, I was too tall, too strong, too dark. So I put my energy into my studies, but then I was warned that boys did not like girls who were too smart or too well-spoken. My family shook their heads over how impossible it would be to marry me off. I remained continually surprised whenever a boy liked me (or else discounted him as an Asianphile with bad taste). I thought that I had long outgrown those adolescent insecurities, but it turns out that I had merely tabled them. They suddenly resurfaced last year when I turned 40. I, who never really paid attention to these sorts of things, suddenly found myself buying anti-aging creams, putting on makeup, trying out new hairstyles, wearing jeans again. I did not want to look like the graying and tired mother of four. I wanted to look like the hip and vibrant arts and culture editor of this cool online magazine. I know now—in my head at least—that you do not have to be blond to be beautiful, that Asian women are the most beautiful of women, but what does that have to do with me? Two months ago, I found myself tucked into a corner of a nonprofit fundraiser with a handsome stranger – a handsome Chinese stranger, I must point out – a tall, brilliant, breathtakingly handsome Chinese stranger. It was one of those perfect moments when the conversation just flowed, without having to think of what to say, without posturing and posing, without trying to impress, and without barriers of culture or language. I have no idea what we talked about. I think I may have even punched this very famous man in the arm for some reason. It was not until he left—followed into the night by The World Journal—that I even realized I had completely monopolized his time, when, as the guest of honor, he should have been mingling (and I should have been networking). As a writer, it is incredibly difficult for me to stay in the moment. I am always outside of it, my mind constantly racing ahead to how to write about that moment in my next article, so I notice and appreciate the rare occasion when I am able to stay present easily. Of course, as a writer, I am also always incredibly self-conscious about whether I am smart enough or clever enough or accomplished enough. This time, I dissolved into further doubts about whether or not I had also been beautiful enough to warrant this handsome stranger’s attention or if he was just being polite to That Crazy Woman with the Pippi Longstocking Hair. Suddenly, I felt like I was 17 again, and drowning. I realized, with not a little shame, how deeply my programming runs. Even though I tell my children how beautiful and smart they are, even though I lecture and write about how beautiful we Asian men and women are, even though I am outraged at the cosmetic surgeries Asian women subject themselves to to meet Western beauty standards, I realized that in regards to myself, I will never, ever believe it. Part of me will always be that awkward gangly teenager (with the impossible Farrah Fawcett hairdo). It does not matter how many men in pick-up trucks rev their engines at me or how many girlfriends tell me I am beautiful, I will never be able to believe—in my heart—that I could possibly be beautiful, too. I was so sad to discover this relic of my childhood still rattling around in my head that I wanted to lie down and quit. Ok, Farrah, you win. I’m not playing this game anymore. The problem is getting what is in my head in line with what is in my heart. Then I remember what I have always known, that although beauty can be an important part of one’s self-image, it is hardly the most important thing. Especially now that we are older and have so many accomplishments—degrees, careers, friends, family, art, style, humor—to show. We know who we are and what we can do. It is not like when we were younger, when beauty was all we could prove for certain that we had. Ouch, but I was asking for that one. 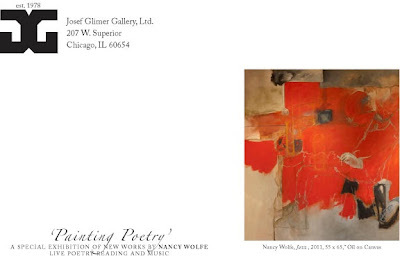 Yes, I certainly am much more today than just my looks, and it is ok.
Nice write up in Chicago Artists Resource: "Wolfe’s richly colored canvases walk a dreamy line between representation and abstraction, while reflecting rhythms of poetry and the basic geometry of natural forms. Wolfe, a poet herself, says of her work, “Many years ago, I read that out of three basic shapes: square, triangle and circle, come all natural form. My work comes from what is most fundamental; it is a forming and disintegration of deceptive simplicity.”"
Opening Reception for Nancy Wolfe's " Painting Poetry" at Josef Glimer Gallery, Chicago, Friday October 4 (4-7 pm) and Saturday October 5 (11 am-6 pm), 2013. The two opening receptions will feature the artist, live poetry readings accompanied by shakuhachi flute, and writer Frances Kai-Hwa Wang reading original prose poetry inspired by the work on October 4 at 6 pm and October 5 at 5pm. See you at Brewed Awakenings again on Saturday, September 28, for poet and professor emeritus Saleem Peeradina. 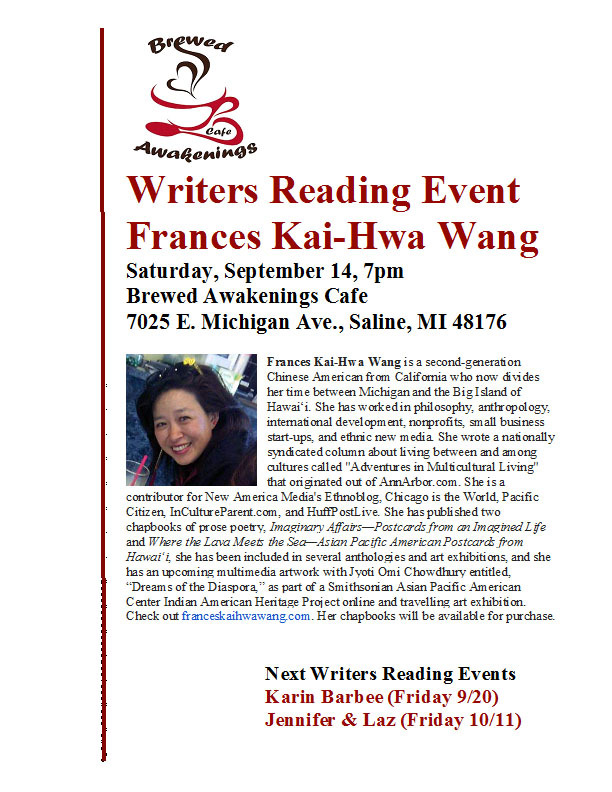 Please come to my reading tonight at 7pm at Brewed Awakenings Cafe in Saline. I'll be reading prose poems from my published works as well as test-driving some new pieces. Both chapbooks will be available. Directions: From downtown Ann Arbor, take State Street south until you reach Michigan Ave. Directions: From Highway 23, take Michigan Ave exit and go west until you reach State. It's in a strip mall on the southeast corner of the intersection. Next to My Urban Toddler. Saturday's soups are chicken tortilla and potato with bacon!! Scones are pumpkin scones, sweet cream scones. Quiche is bacon, ham with cheddar and spinach, black olive with feta. Look beyond the idyllic tourist image of Hawaii and explore the deeper beauty and sacred heritage of Hawaiʻi and its volcanoes through its cultural traditions, history, literature, music, and art with authors Tom Peek and Frances Kai-Hwa Wang, and artist Catherine Robbins. The program will include lively author readings, robust cross-cultural discussion, nature photography, and volcano-inspired art. Light Hawaiian snacks will be served. 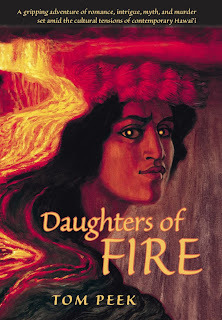 Hawaii-based writer Tom Peek will read from his new novel, Daughters of Fire, a gripping story of interracial and intercultural romance, political intrigue, myth and murder, set atop the volcanoes of the Big Island of Hawaiʻi and filled with complex characters that reveal the true heart of Hawaiʻi. 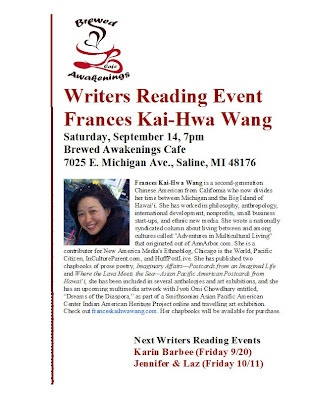 Ann Arbor-based writer Frances Kai-Hwa Wang will read from her new chapbook, Where the Lava Meets the Sea—Asian Pacific American Postcards from Hawai‘i, in which she explores the natural wonders, many cultures, and interesting characters of Big Island as she searches for home in Hawai‘i, and instead discovers an Asian Pacific American sense of belonging. They will be joined by Hawaii-based painter Catherine Robbins who will discuss her volcano-inspired paintings and artistic practice. Together, they will discuss the cultural and environmental challenges facing Hawaiʻi, as well as the Midwest, today. This program will appeal to anyone interested in Hawaiʻi, intersecting cultures, fragile landscapes, environmental impacts of development—and awesome volcanoes. 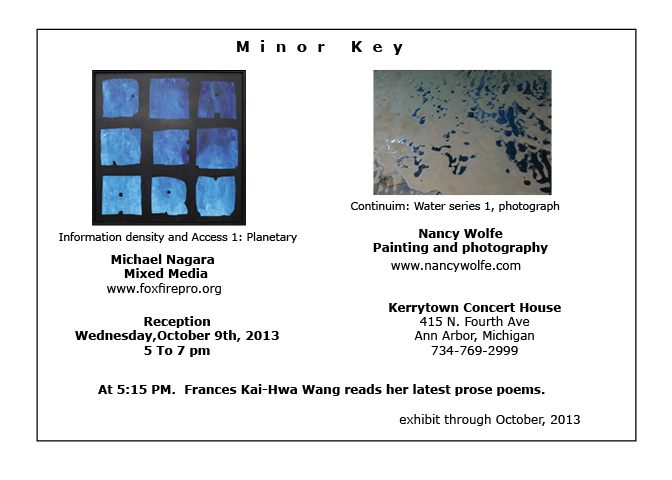 Frances Kai-Hwa Wang is a second generation Chinese American originally from California who now divides her time between Ann Arbor and the Big Island of Hawaii. She has written for AnnArbor.com, AnnArborChronicle.com, and Ann Arbor Observer, and she is currently a contributor for New America Media's Ethnoblog, Chicago is the World, Pacific Citizen, InCultureParent.com, and HuffPost Live. She writes and speaks about multicultural issues, and she team-teaches Asian Pacific American History and the Law at the University of Michigan and the University of Michigan Dearborn. She is the author of Imaginary Affairs—Postcards from an Imagined Life and Where the Lava Meets the Sea—Asian Pacific American Postcards from Hawaii, available at Blacklava.net. Check out her blog at franceskaihwawang.com. Catherine Robbins, a self-taught artist and former eruption ranger at Hawaiʻi Volcanoes National Park, creates oil paintings inspired by the wonders of nature. She has lived on the verdant windward side of the island of Hawai‘i for over thirty years. Exploring the natural world, from mountaintops to coastal lava flows, taught her to listen to the greater forces, and inspired her to paint places that she knows well and loves. Catherine’s work is collected internationally and is represented by galleries on the island of Hawaiʻi. Her Kilauea painting series was featured in the Volcano Art Center Gallery’s “Observation/Inspiration Exhibition” held in 2012 to commemorate the 100th anniversary of the Hawaiian Volcano Observatory, and on ABC’s nationally-televised “Born to Explore” program. In her rainforest studio, a few miles below Kilauea’s erupting summit crater, she occasionally hears loud booms from the volcano while listening to her intuitive sense of the place to which she gives voice with paint on canvas. More at http://catherinerobbins.com/. Inspired by the work of one of the most important Japanese writers of the 20th century, Jun’ichirō Tanizaki, Shun-kin tells a tale of devotion, passion, and power, where beauty is unforgiving and love is blinding. The domineering and beautiful Shun-kin, blinded as a young girl, is a brilliant player of theshamisen, a stringed instrument. Her devoted student and servant will do anything to share her world, ultimately becoming her lover and performing an astonishing act of self-sacrifice. This powerful production, seen only at the Lincoln Center, UCLA, and UMS, explores the relationship between master teacher and student, showing just how fraught that relationship can be. In Japanese with English supertitles.Where does inspiration come from? What makes an artist tick? Join us for a post-performance Q&A and get a glimpse into the lives and minds of the artists that bring creativity to the stage. Must have a ticket to this evening’s performance to attend. Only a week and a half to invite people! Please bring your friends. and many thanks to Zilka Joseph for the introduction! 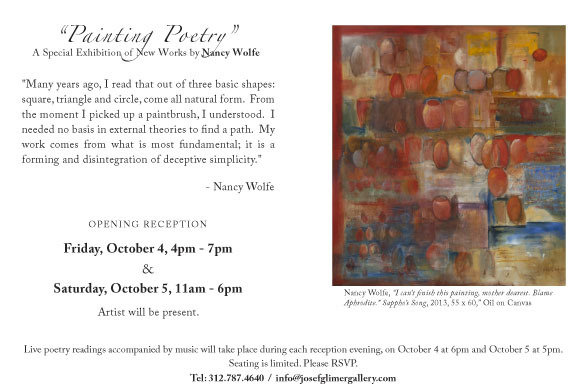 Prose Poetry Reading in Chicago October 4 and 5, 2013, at josefglimergallery.com with opening for Nancy Wolfe! "Live Poetry Reading" (better than the alternative). That's me! Check out the #SmartAAPIWomenOfTwitter (an amazing Twitter response to a Fast Company article on the 25 Smartest Women of Twitter that neglected to include a single woman of color). smh orz. Make sure to also search for #SmartBlackWomenOfTwitter and #SmartLatinaWomenOfTwitter. Mark your calendars for October! Ann Arbor District Library (AADL) Talk Tuesday October 29, 2013, 7:00 or 7:30 pm? Look beyond the idyllic tourist image of Hawaii and explore the deeper beauty and sacred heritage of Hawaiʻi and its volcanoes through its cultural traditions, history, literature, music, and art with authors Tom Peek and Frances Kai-Hwa Wang, and renowned hula teacher and scholar Dr. Amy Kuʻuleialoha Stillman. The program will include Hawaiian traditions, lively author readings, some nature photography, and the volcano-inspired art of Big Island painter Catherine Robbins. Light Hawaiian snacks will be served. 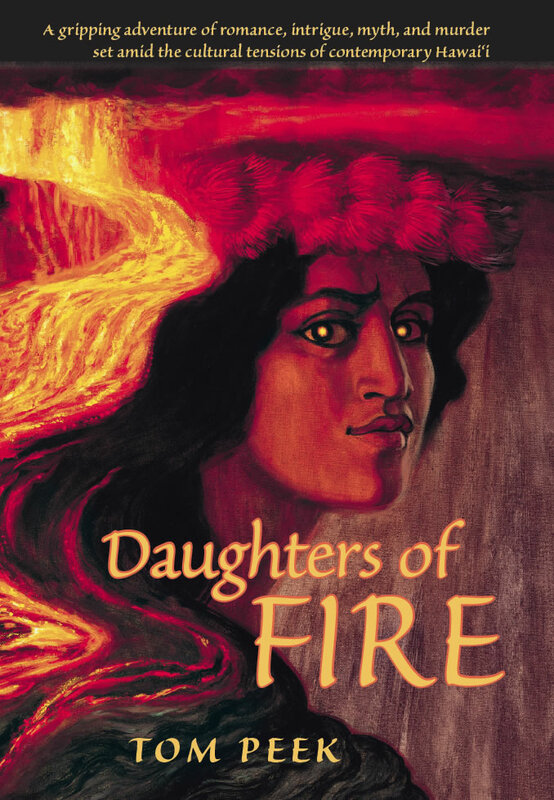 Hawaii-based writer Tom Peek will read from his new novel, Daughters of Fire, a gripping story of interracial and intercultural romance, political intrigue, myth and murder, set atop the volcanoes of the Big Island of Hawaiʻi and filled with complex characters that reveal the true heart of Hawaiʻi. Ann Arbor-based writer Frances Kai-Hwa Wang will read from her new chapbook, Where the Lava Meets the Sea—Asian Pacific American Postcards from Hawai‘i, in which she explores the natural wonders, many cultures, and interesting characters of Big Island as she searches for home in Hawai‘i, and instead discovers an Asian Pacific American sense of belonging. They will be joined by two-time Grammy-Award-winning University of Michigan professor of American Culture and hula kumuDr. Amy Kuʻuleialoha Stillman who will share a Pele chant. Together, they will discuss the cultural and environmental challenges facing Hawaiʻi, as well as the Midwest, today. This program will appeal to anyone interested in Hawaiʻi, intersecting cultures, fragile landscapes, environmental impacts of development—and awesome volcanoes. 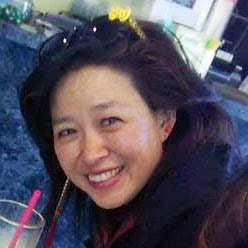 Frances Kai-Hwa Wang is a second generation Chinese American originally from California who now divides her time between Ann Arbor and the Big Island of Hawaii. She has written for AnnArbor.com, AnnArborChronicle.com, and Ann Arbor Observer, and she is currently a contributor for New America Media's Ethnoblog, Chicago is the World, Pacific Citizen, InCultureParent.com, and HuffPost Live. She writes and speaks about multicultural issues, and she team-teaches Asian Pacific American History and the Law at the University of Michigan and the University of Michigan Dearborn. She is the author of Imaginary Affairs—Postcards from an Imagined Life andWhere the Lava Meets the Sea—Asian Pacific American Postcards from Hawaii, available at Blacklava.net. Check out her blog at franceskaihwawang.com. Dr. Amy Kuʻuleialoha Stillman, born and raised in Honolulu, Hawaiʻi, is a Professor of American Culture, and a past Director of Asian/Pacific Islander American Studies at the University of Michigan. Dr. Stillman is the author of Sacred Hula: The Historical Hula ʻAlaʻapapa, and more than twenty articles on Polynesian music and dance traditions (particularly Hawaiʻi and Tahiti). She is also a two-time Grammy award winner for Best Hawaiian Music Album, as co-producer, lyricist and accompanist. She is also actively involved in community projects and advocacy among Hawaiian and Pacific Islander communities. For more information visit amykstillman.wordpress.com/about. Update: Hawaii-based painter Catherine Robbins will be joining us, too!